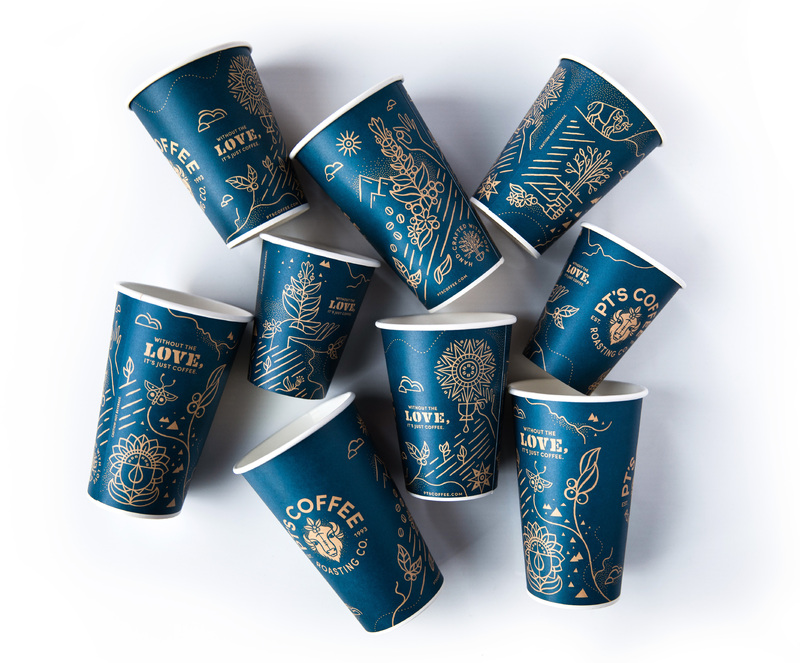 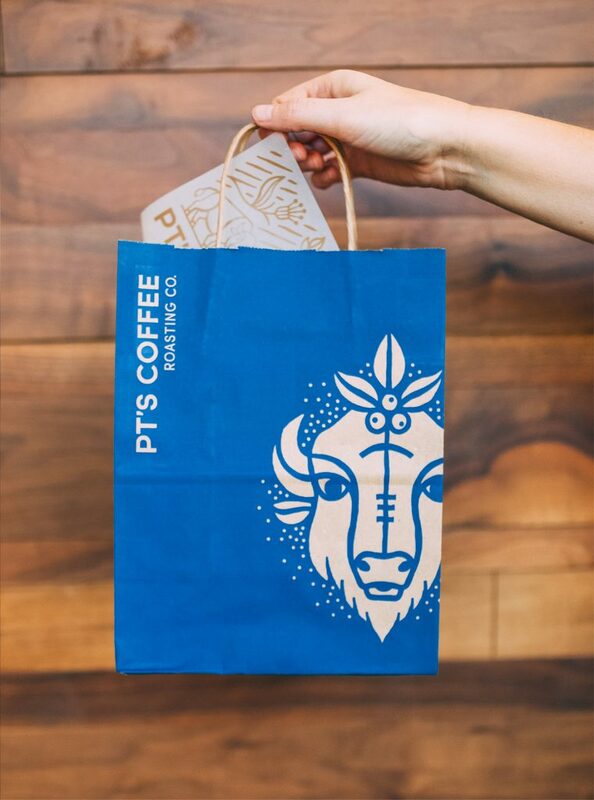 PT's Coffee Roasting Co.’s limited release Blue Label coffee packaging. 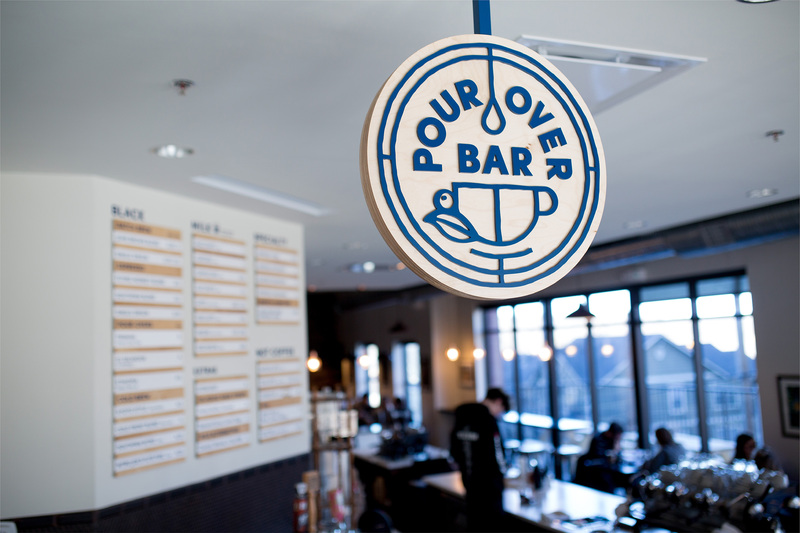 Exterior and interior signage fabricated by Midtown Signs. 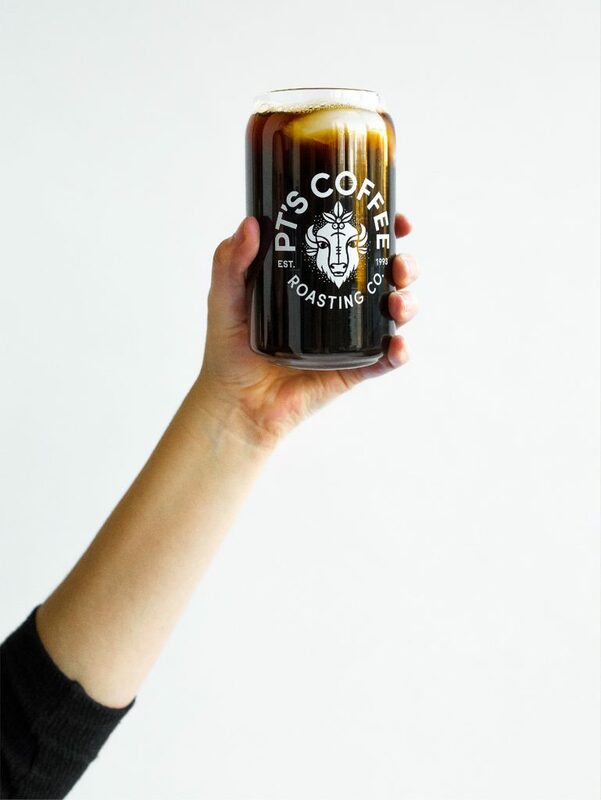 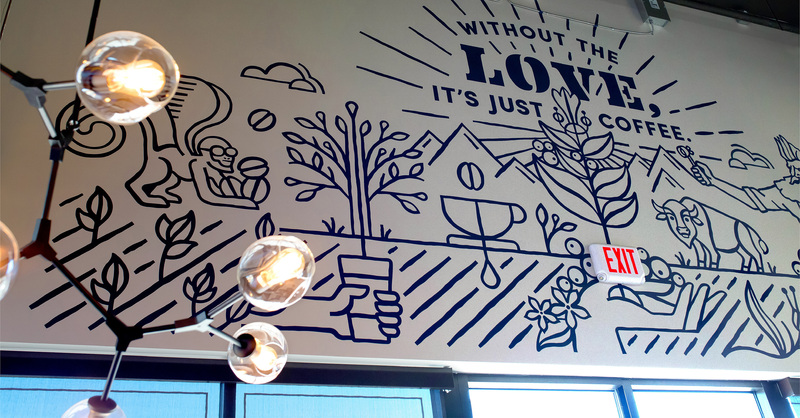 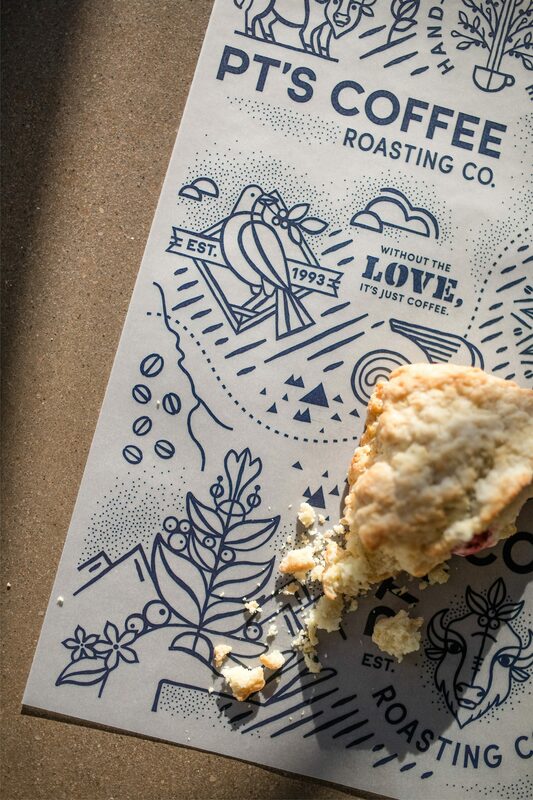 The updated brand identity also extended to their new cafe location in Lawrence, Kansas. 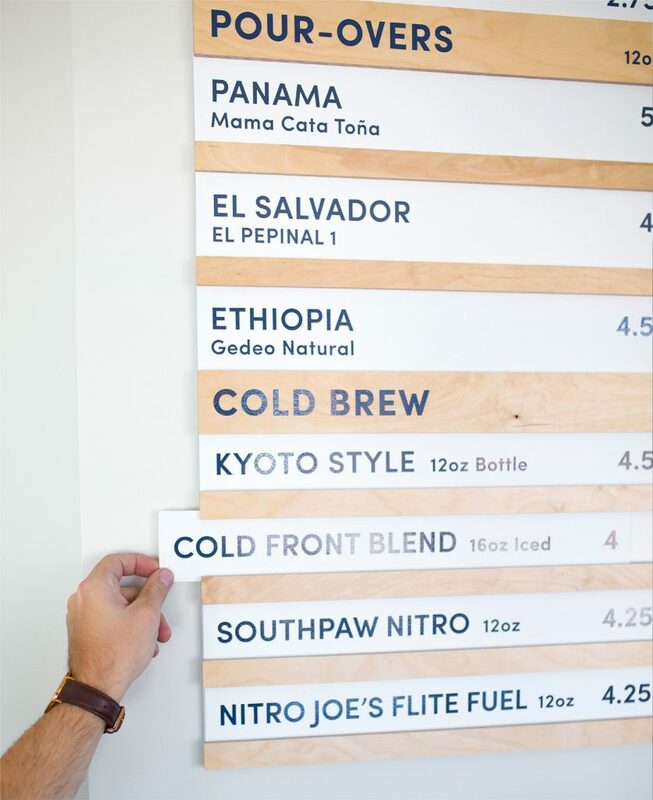 Within this system we designed an exterior signage package, interior wayfinding, custom retail shelving that is completely customizable to their needs, a wooden dimensional bison wall piece, wall murals and a flexible menu board. 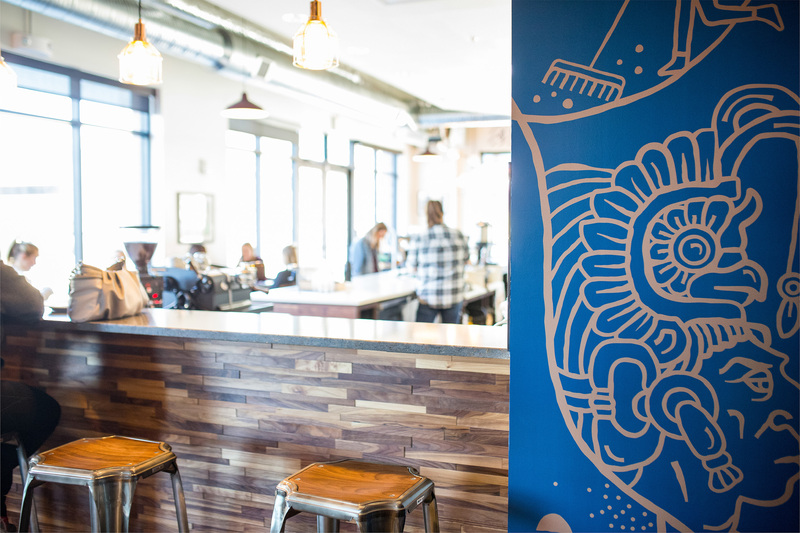 Retail furniture piece designed by Carpenter Collective and fabricated by Palomino Woodworks.